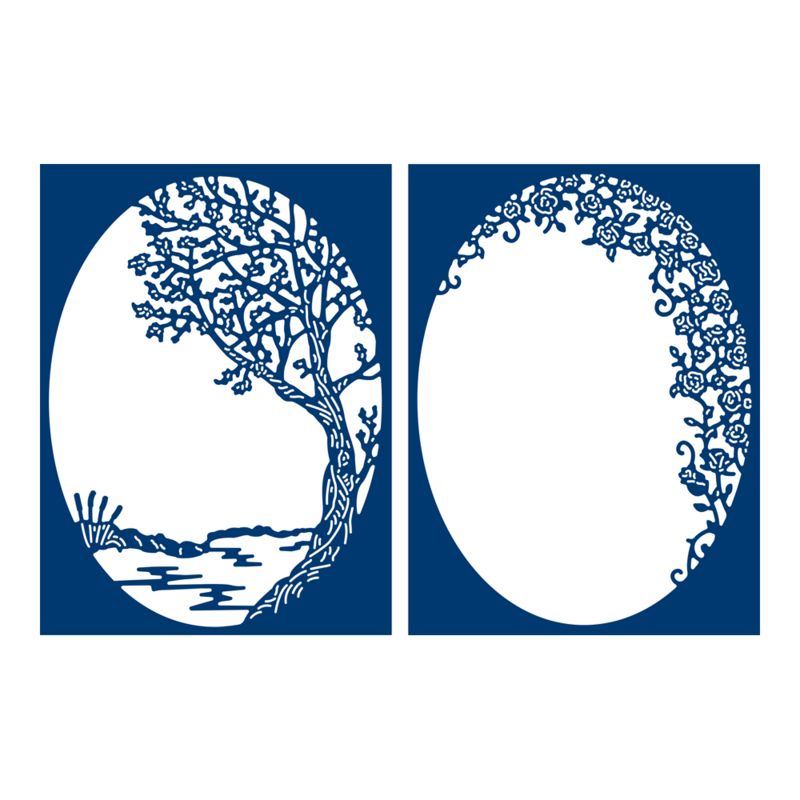 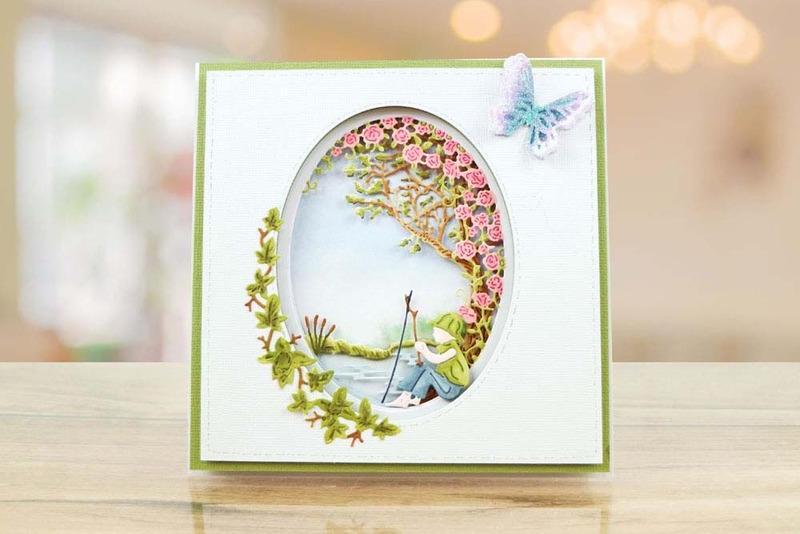 The die includes two oval aperture frames with delicate floral decor in one and a tree and lake scene in the other. 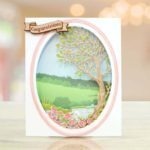 This set is very versatile as it gives you the option to use a scene or an embellishment to suit the occasion or theme you are crafting. 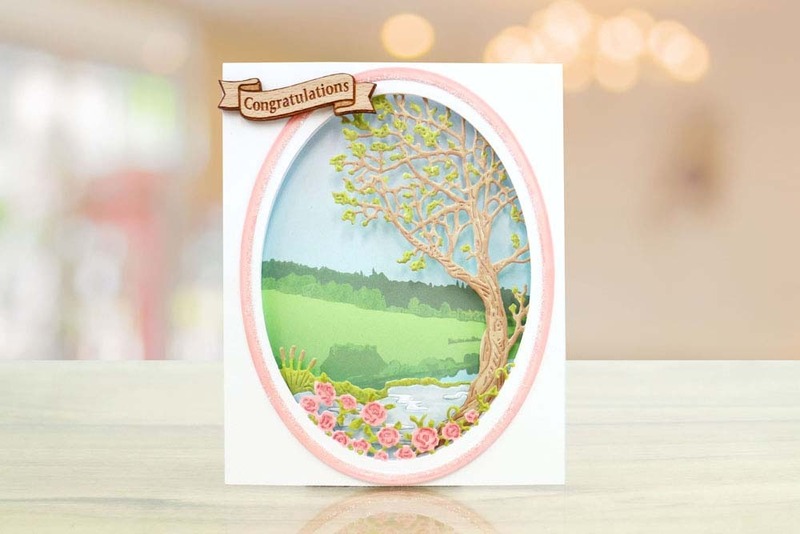 The tree and lake aperture dies would work great with printed backgrounds to add a meadow, sky, park, cottage or any other coordinating scene inside to complete the look, the floral frame would work great for adding a sentiment inside, you could add foam tape or squares behind the sentiment to make it stand out for a dimensional centre piece. 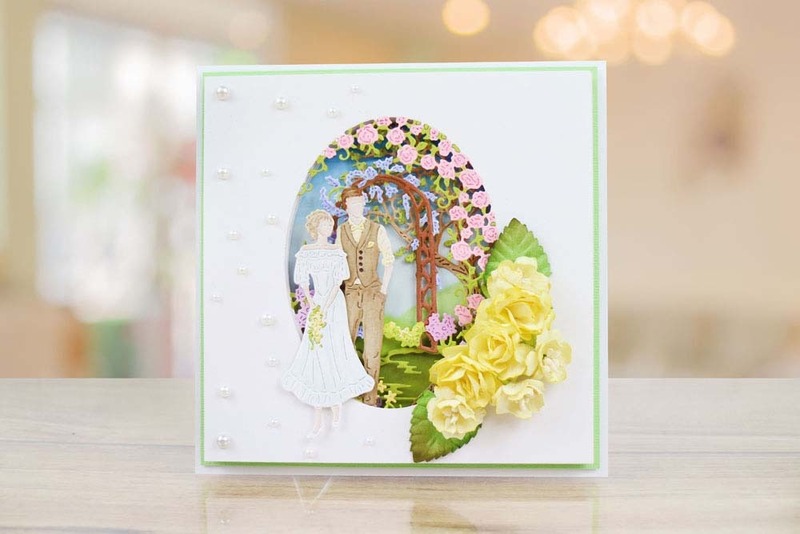 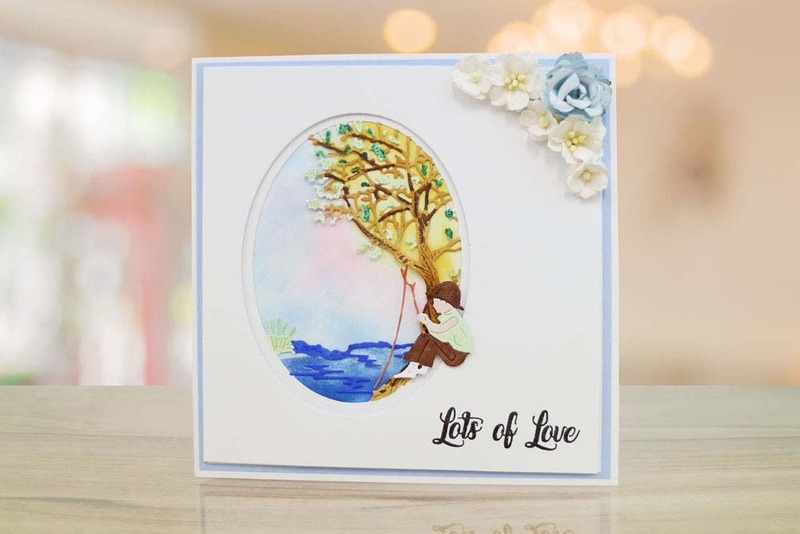 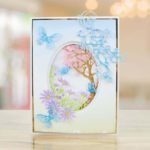 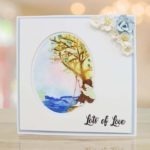 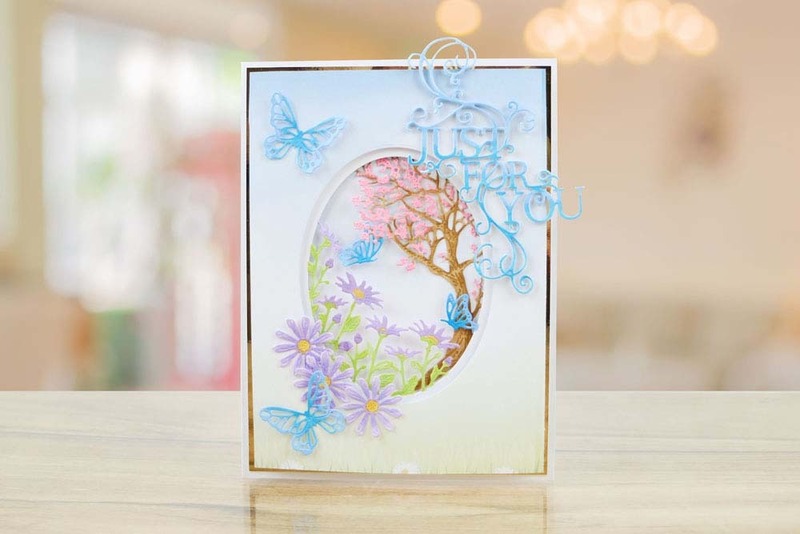 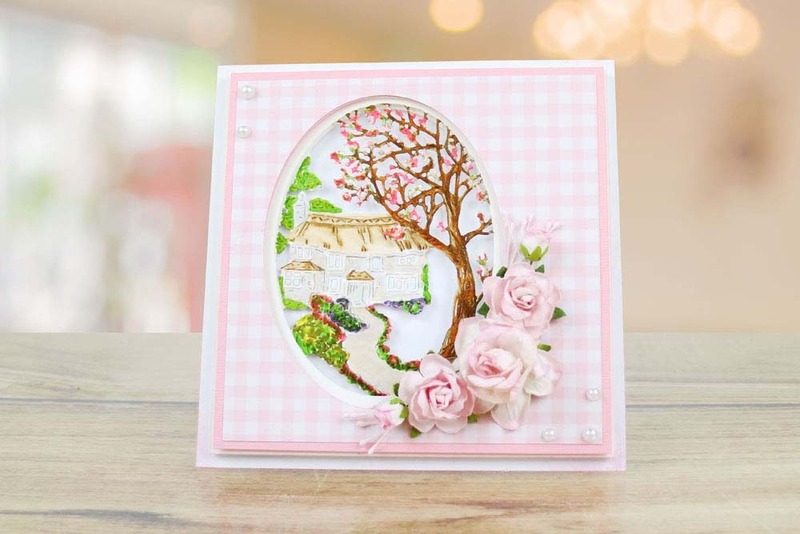 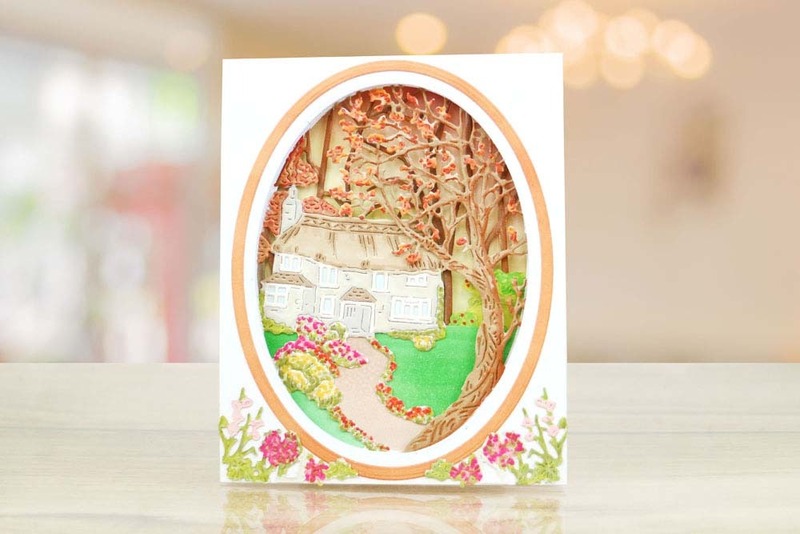 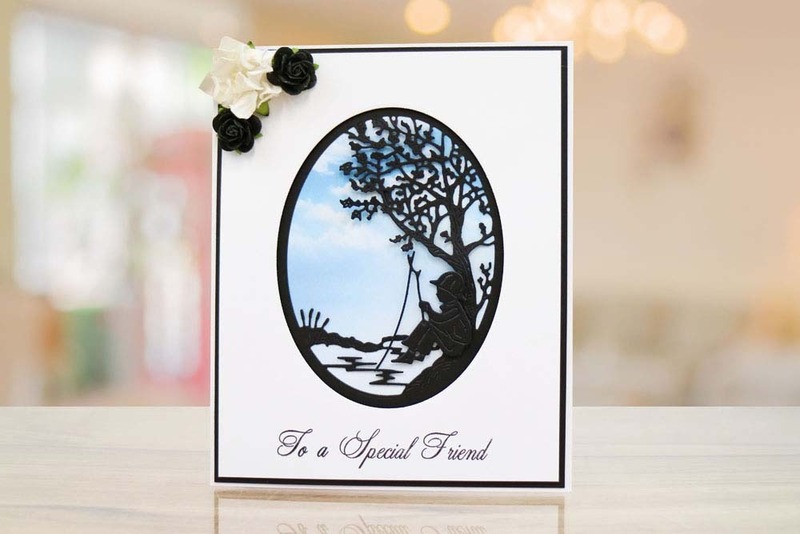 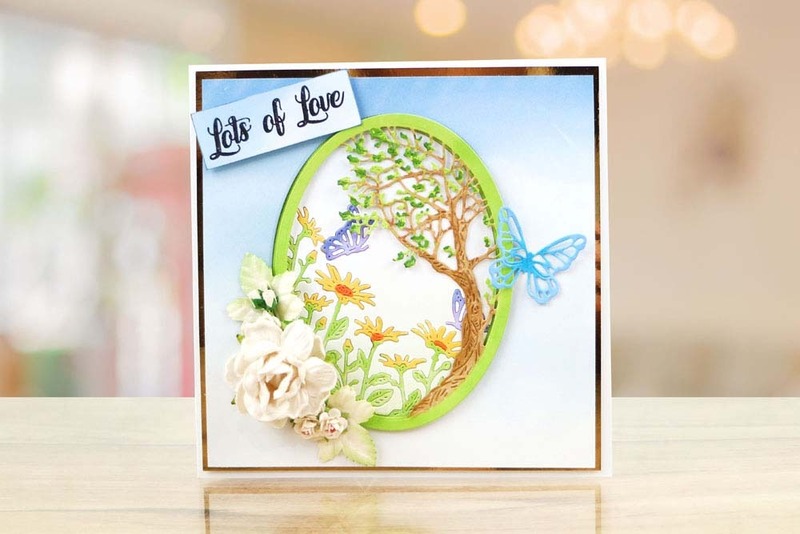 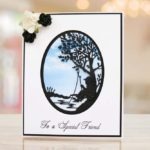 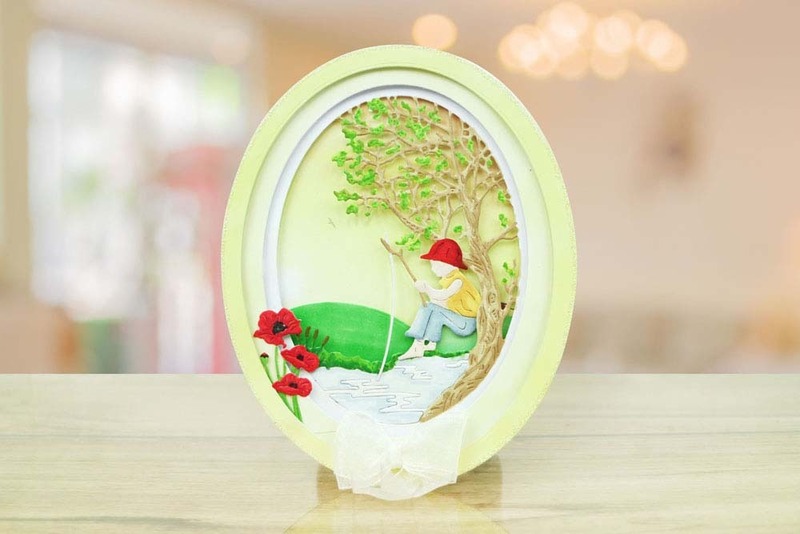 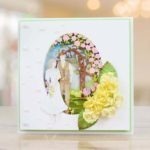 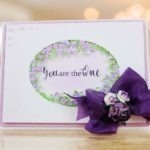 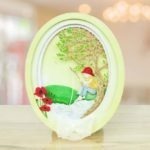 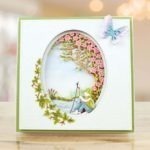 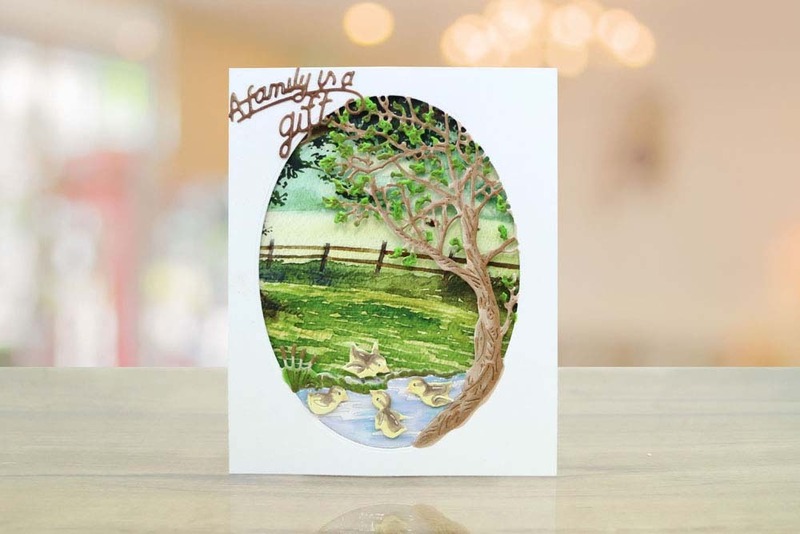 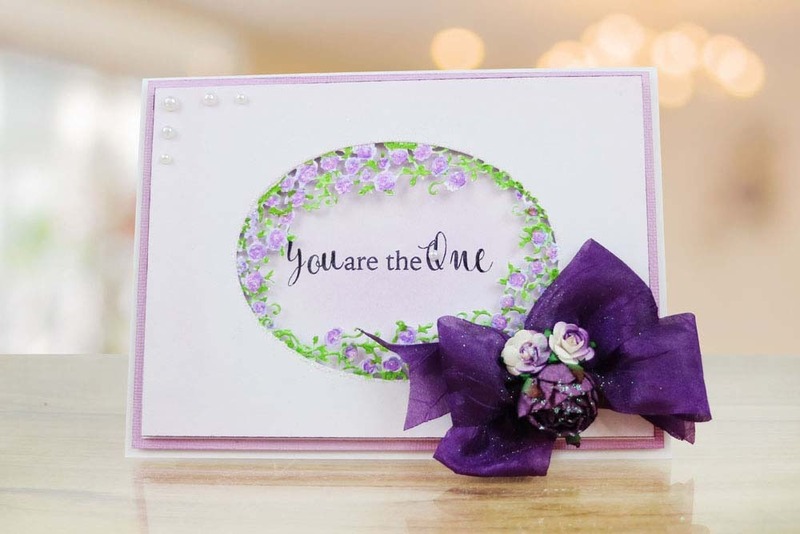 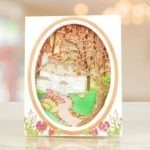 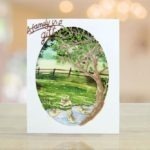 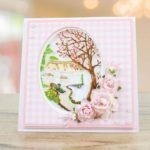 These dies really do add a tranquil calming feel and make the perfect addition to cards for occasions like Retirement, Father’s Day, Mother’s Day, Birthday’s, Get Well Soon and many more.